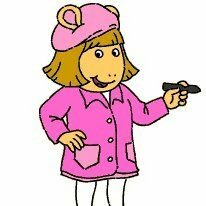 Hi, I am DW. I am currently a college student looking for ways to help people buying common everyday items and save money. I enjoy giving unbiased opinions on products that I use on a daily bases. It tastes wonderful. It is very affordable when you catch it on sale and use coupons with it. I drink it when it is available in my house. It works with powder drink mixes to make alternative to soda. I would recommend this product. I would buy it again. They smell wonderful.They are very affordable when you catch it on sale and use coupons with it. Or, pick them up at a local dollar tree. I use it when it is available in my house. I use them in my laundry. They work excellently on clothes that has oil stains in them. I would recommend this product. I would buy it again. It smells like a pine forest. It is very affordable when you catch it on sale and use coupons with it. I use it when it is available in my house. It works excellently on dishes that has a lingering food residue oil on them. I would recommend this product. I would buy it again. It smells like a tropical oasis. It is very affordable when you catch it on sale and use coupons with it. I use it when it is available in my house. It works excellently on clothes that has a lingering smell in them. I would recommend this product for people who like perfume scents. I would buy it again.